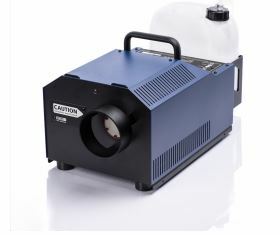 The Cobra 3.1 is a powerful fog generator, that sets new Standards concerning noise and handling. The new Touchscreen makes the handling of the Cobra 3.1 easy and intuitive. Operation via Ethernet and RDM-features allow most exible use. The machine is supplied with a duct adaptor that also functions as a protection against contact.